Manufactured from 1954 to 1958. This is the French market version of the type 022 model . 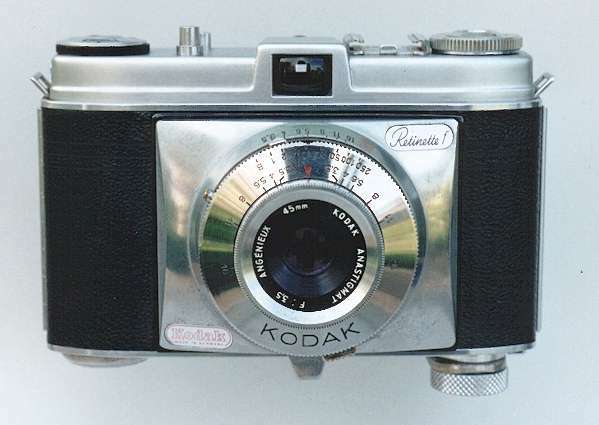 The German manufactured body was apparently fitted with a Kodak Anastigmat Angenieux 45mm f/3.5 and a Kodak shutter in France. There are at least three variations of this model about. I have two different ones, one with black lacquered body edges and another one with the thin chrome pressings at top and bottom edges instead. 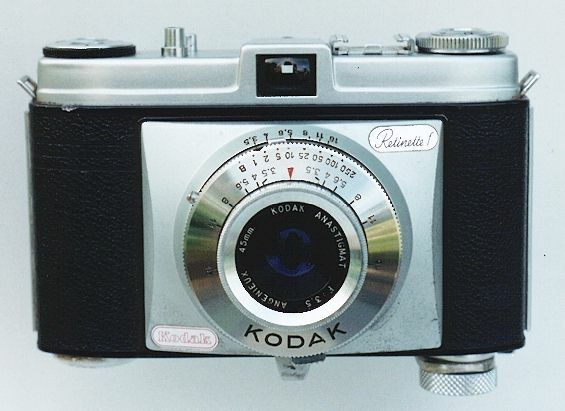 These early ones have the flash socket on the shutter body rather than the front plate. 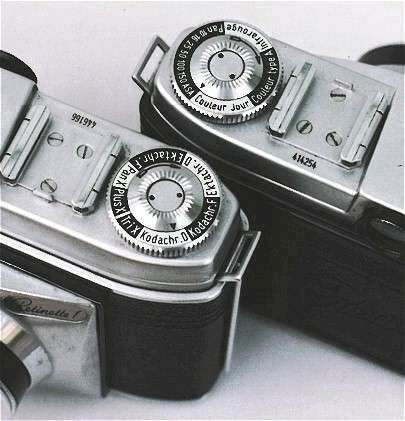 A later variation had a different shutter housing and had the flash terminal on the front of the camera rather than on the shutter body itself as with these examples. As you can see from the picture the earlier example had the film reminder dial in French.